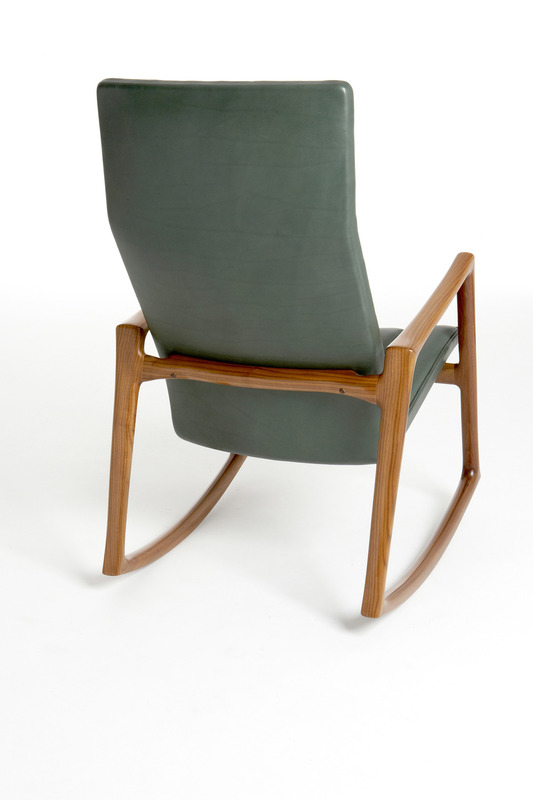 Designed in 1961, Helge Vestergaard Jensen’s rocking chair is chiselled and skeletal. This single monocoque rocker has armrests that take the form of a forearm and wrist. Missing is a hand, inviting you to complete the picture. The fluted-leather skin draws the eye vertically and narrows your perspective, so maintaining a taut, sharp and modern look. Made by Niels Roth Andersen, Alderman of the Cabinetmakers Guild of Copenhagen.